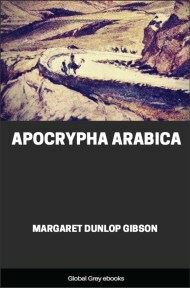 This text is a transcription and translation of an Arabic Christian manuscript discovered by Margaret Gibson in 1893 and first published in 1901. 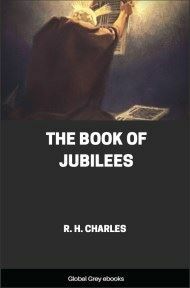 The text includes 'The Book of the Rolls', a retelling of early Biblical events; and, stories of Aphikia, a virtuous woman from the time of King Solomon. 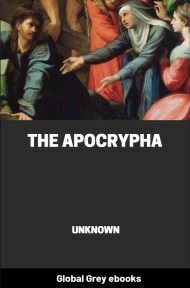 The printed version of this book contains a third text, Cyprian and Justa, in Greek and Arabic versions. These texts are not included here. In the name of the Father, and of the Son, and of the Holy Ghost, one God, the merciful Lord. 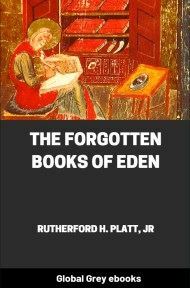 This book is one of the hidden books of Saint Clement the Apostle, disciple of Simon Cepha, which Saint Clement commanded to be kept secret from the laity. 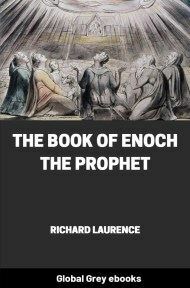 Some of them were called “The Book of the Rolls,” and there are the glorious genealogies and mysteries which our God and Saviour Jesus the Christ committed to his disciples Simon and James, and what things will happen at the end of time, and how the second coming of our Lord the Christ from heaven to the world will happen, and what will become of sinners and such like. This is the sixth of Clement’s books, treasured up in the city of Rome since the time of the Apostles. Saint Clement said, When our God Jesus the Christ went up to heaven and the disciples were scattered in the regions of the world to evangelize, and to call mankind to the faith and to immersion by baptism, they took disciples, whom they chose and selected to be with them, and to travel about to the countries in the faith of the Christ. Wherefore Simon Cepha took me for a disciple to himself; I believed in him, and in Him that sent him, with a true faith; I recognized that he was chief of the Apostles, to whom were given the keys of heaven and earth, on whom was built the Catholic Apostolic Church of God, which the gates of Hell shall not destroy, as our God Jesus the Christ said in the holy Gospel. After a long time he took also my brothers Constans and Constantinus to be his disciples. Twenty years after he had taken me as his disciple, he brought me together with my father and my mother, who was called Metrodora, and committed to me all the mysteries which had been given him by our Lord Jesus the Christ on the Mount of Olives. 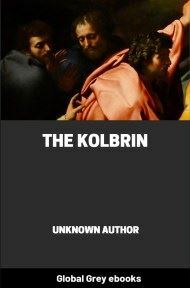 At that time the rest of the Apostles and all the believers had a struggle with the unbelieving Jews because the Jews were killing every one of the believers whose murder was possible to them. I and my gracious Teacher Simon encompassed some of the countries, and we met with great trouble from the controversy of the Jews, and their questioning about the genealogy of the pure Mary, for their saying about her was that she was not of the children of Judah that they might invalidate by this the coming of our Lord the Christ into the world, and His Incarnation from her. They were increasing [their] bribe of money and other things to the Greeks and the Romans that they might help them in the destruction of the believers and the bringing to nought of their business, and hinder the Apostles from the reading of the Law, lest they should teach out of it about the state of mankind, and how it was in the beginning. When I saw in what misery we were with the Jews, I sought from my gracious Teacher that he would make known to me how mankind were at the beginning, and that he would make me perfect about the reasons, for he had learned everything from the Lord Jesus the Christ, and I was acquainted with the tongue of the Greeks and their books, and was learned in their mysteries, and I had deposited their secrets which had been entrusted to me, [in] my two books called the seventh and the eighth. I informed my Teacher what I conjectured about the envy towards the Lady Mary, and my anxiety at the reproach of the Jews to me that I did not understand the Torah, and their much questioning of me about the creation of our father Adam, and what I had heard with my ears of their insult to the Lady Mary and their fiction about her without any resource being possible for me [how] I should refute them in regard to their hateful saying. The Teacher was moved by my excitement, and zeal entered him when I told him about it. He said, “I will put it in order for thee, O my son, as thou hast asked me about it, and will initiate thee in things since the beginning of the creation, and will teach thee the genealogy of the Mother of Mercy, Mary the pure, and its authenticity, and that without doubt she is of the lineage of Judah the son of Jacob and his tribe, and I will relate to thee mysteries, and what reason there was for the fall of the Devil, the prince, from heaven. Know, O my son, that the Lord is the beginning and before the beginning, He who is Infinite, raised above the height, equal with the Highest, there is nothing lower about Him, nothing inward, nothing outward, He is before the beginning, the ancient substance, He who is boundless, whom no intelligence can reach, and no discernment nor quality can comprehend. He was above Being, and with Being, and below Being, the creative Substance, the glorious Light, which darkness reacheth not. Light dwelling in the Light which eyes cannot reach, before creation He was; and He is the Former of forms, whose glory is from Himself and in Himself, and in His Essence. [He is] the Creator of what glorifies Him, that thou mayest learn His divinity and His power, He made the heaven and the earth, He created before harmony the division of things. Angels worship Him, ten homogeneous choirs, I mean by this ten ranks. The highest rank, some of whom are nearest to the throne of the Lord God, pouring out praises in abundance, is the rank of Satanaeel, who was the prince, and praises rose up to God from all the Angels; that was the beginning in the first day which was the holy first day (Sunday), chief of days; early in it God created the upper heaven and the worlds, and the highest rank of Angels, which is the rank of Satanaeel, and the Archangels, and powers, and chiefs, and thrones, and dignities and governors, and cherubim and seraphim, and light, and day and night, and wind and water, and air, and fire and what is like these elements.